How to Apply for a Hearing Aid at PCSO: Part 1 | To Be, To Be. Tutubi. My mother is only 57 years old but she is turning deaf in both ears. This was after she had large doses of antibiotics because of a large lump under her ear. Since then, her hearing has deteriorated. I already brought her a hearing aid for one ear but she frequently complains of difficulty in hearing even when wearing that but since we have no more budget. So we thought applying for a free hearing aid from PCSO and this will chronicle our journey towards that goal. Step 2. Go to the PCSO office to lodge the request. Fund Allocation Department (FAD) and clinic at the Lung Center of the Philippines (LCP) in Quezon City. Step 3. Submit the documents and wait for your name to be called. My sister had to come back for this step because the first time she went there at 1pm, the guard said she should come the next day even as early as 4am. So she went there today at 6am. She submitted the documents and when she was called, she was told that a medical evaluation from a doctor at UST was still required and to return the documents again after September 30. Step 4. Comply with other requirements. I called the office of the doctor from UST and the secretary said that instead of one audiological report and quotation, we should get 2 more before she can schedule us with the doctor. So she gave me two more hearing aid centers and we will go there on Saturday. I will post about our next step in this project and I hope that some of you will learn from this too. Update: All other posts and updated regarding the hearing aid can be found here. Hello. Where did you get your Audiological Evaluation Report? Hi Dinah. Thanks for the quick reply. Are you saying you got your AUDIOLOGICAL EVALUATION REPORT from these accredited hearing aid centers? We already went to Active Hearing Aid Center but they can only provide an audiometry and price quotation. I am not sure where we could get an Audiological Evaluation Report. I already read the Parts 1, 2 and 3, and from what I understand, you went to PCSO with the complete requirements based on the PCSO website (including the AUDIOLOGICAL EVALUATION REPORT) before they referred you to their accredited hearing aid centers. Hi, I understand what you mean now. When you go to a hearing center, you go for a hearing test and they give you an audiological evaluation report or audiomentry and then you ask for a price quotation. 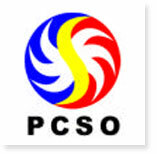 When we initially went to PCSO, in part 1, we only have that and thankfully, from one of the accredited centers. But we need to have 2 more of that before we can be evaluated by the UST doctor. I think that audiological evaluation report of the UST doctor is what you mean. But he will only see the patient once you have gone to three other hearing centers.But if you already have the audioligical report from one hearing center, submit it first to PCSO so they can gve you that referral to UST. Hope I was able to answer your question. I thought audiometry and audiological evaluation report are NOT the same? I called up PCSO because I wanted to clarify this but they told me audiometry and audiological evaluation report are not the same. When we went to the Active Hearing Aid center, they already gave us the audiometry of my mom and price quotation. It's also the same when we went to the Manila Hearing Aid Center. Which is why I am really confused because I thought aside from the audiometry, I would also need to present an audiological evaluation report to PCSO? Thank you so much, I really appreciate your patience in answering my queries. I suggest if you already have the audiological report(audiometry), quotation, your request letter and IDs of the patient, go to PCSO na. They will have to give you that referral slip from the UST doctor for the final say. Thanks! Regarding dun audiological reports, does it have to be from those 3 accredited centers? I have results na kasi from Medical City so I'm asking now if pwede kahit from ibang hospitals. The audiological report must come from accredited centers. My son's hearing aid was from PCSO rin. Samin, we went straight to UST, then we were told na we need 3 hearing aid quotation. We went to active hearing center, philiear and Ledesma. Free lang sa Philiear and Active while Ledesma charged us with 150. We filed it by December and received the aid by February. We got a digital hearing aid from Philiear kaso isa lang. We noticed difference agad after him being fitted. Tapos we enrolled him sa Speech Therapy Center. Natuwa ung speech therapist kasi kitang kita niya na may difference talaga. So we decided to buy another one for his other ear. So far, within speech range daw ung result niya. Just sharing for Moms and Dads out there! Parehas kami ng storya mrs. savana isa rin natangp nmin sa pcso. San puede kya bilin isa? Yng mura lang po sana. Hi all! To anons, Sa Philiear namin siya binili. Dun kasi galing yung isang hearing aid niya nangrant from PCSO, so we bought there rin para the same. I hope you get the same stories rin anons. It's hard to raise a kid (I'm a single mom!) lalo pa if may ganitong problems. God bless you po! San po pwedeng bumili ng hearing na mura? kasi po sabi samin, matagal yang sa pcso. Pano po kaya ung sa dswd? salamat. San po yung activ at philiear? san po ba pinakamura pwedeng bumili p0? may mga 10 tho p0 bang hearing aid? Ms Dinah! Ask ko lang if may alam kayong murang puedeng bilhan. Ang mahal po kasi sa manila hearing. Mahirap lang po kami. God bless po! @anonymous, you can buy from OLX. actually, binilhan ko din mom ko dun, ung parang naka-earphone sha tas nakasabit sa leeg nya ung device. Around 3K po un, so far nagagamit pa naman nya. Hello Ms. Dinah! Good day po. Please tulungan mo naman po ako na gumawa ng donation or sponsorhip letter for hearing aid. I can't afford kasi sobrang mahal yung HCX Digital Hearing Aid eh 25-30k ang isa. Thanks in advance. Godbless po. I Want This For Christmas! Color Game at the Perya!